4 Bedroom Detached House For Sale in Ascot for Guide Price £1,100,000. A well proportioned, family house, within this popular residential location and within Charters School catchment, with an generous garden of 0.3 acre and off street parking. 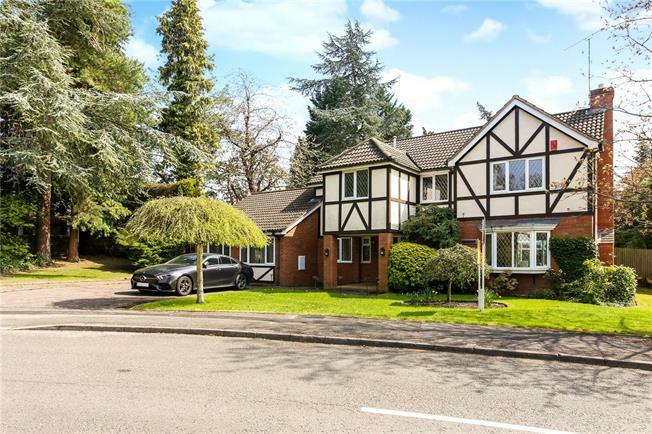 Located in a popular residential location, set back off the London Road and situated in a prominent position within Sunningdale, with Ascot only 3.5 miles distant. The property is conveniently positioned to take advantage of all local facilities including Sunningdale train station (0.25miles) Waitrose, schools and also falls within Charters school catchment area. The house lies within the village, with the M3 to the south, M4 to the north and M25 to the east, providing excellent road links to Central London, the West Country and Heathrow airport, with terminal 5 about 11 miles away.